Developments On Mission E Concept – 18th August, 2017. Inside the brand’s new branch office in Berlin-Adlershof, Porsche has just installed a 350-kilowatt, 800 volt charging station. It’s goal? To expand the capability of C.C.S (Combined Charging System) into a much higher voltage to allow much faster electric charging. This new prototype has the ability to charge an electric car’s battery in such a short time that it would be impossible using today’s technology. In the U.S, charging stations are capped at 50-kw, but Porsche has the goal of releasing these 350-kw stations globally for the end of the decade to pair up with it’s first electric car. It’s hard to imagine a unit that could provide these stations with as much power as they need, but there’s a method; the prototype receives power from the branch office’s 25-meter high solar pylon which holds 7,776 photo-voltaic cells. 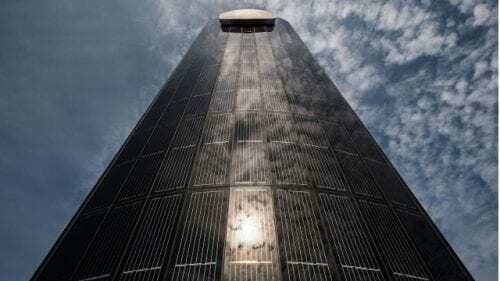 Can this one solar pylon do the job? Well, yes…we think. Porsche have said the solar pylon can produce 30,000 kilowatt-hours per year. Supposedly, it not only covers all of the electric car charging but the entire electricity demands of the new office. It’s Big AND It’s Safe! The prototype charging station contains experimental liquid cooling technology. The charging cable itself is cooled to prevent overheating of the charging pins at the high electrical rate required. So how quickly can it be charged? As far as we know, the prototype has the capability to charge 80% of Porsche’s up and coming electric car’s battery in 15 minutes. This ‘environment project’ by Porsche comes as no surprise to us. In the U.S, VW Group was required to invest $2 billion over 10 years into creating infrastructure for zero-emission vehicles as a result of it’s long running diesel emission scandal so this may be their first step towards redemption. This could also benefit the environment on an even larger scale. 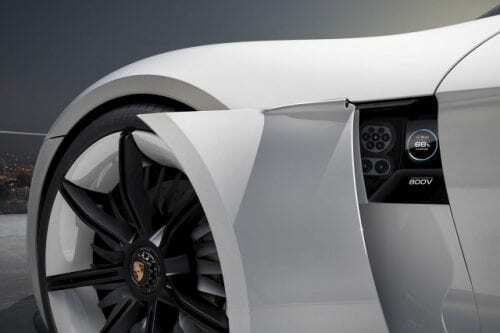 Any progress Porsche makes may be used for all CCS-standard electric cars. All U.S and German automakers could utilise this CCS-standard, meaning thousands of other electric vehicles could use the future fast-charging stations, not only Porsche cars. If you’d like to see more stay tuned and follow our Instagram @tech9_porsche.